FlyGerry LLC is excited to announce the move of our operations from Essex County Airport in New Jersey to Sussex County Airport (KGED) in Georgetown, Delaware. 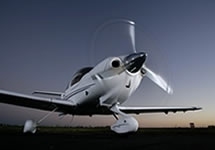 In addition to other aviation business activities, FlyGerry is an active "owner" in the DiamondShare™ program, an innovative approach that realizes the dream of flying a modern high-tech aircraft without the hassles of renting, complications of partnership, or high costs of timeshares and fractional ownership. The DiamondShare program is your ticket to an upgraded experience for general aviation flying. With only a select few pilots sharing a single aircraft, DiamondShare members gain access to a modern aircraft without the scheduling restrictions and daily minimums found with typical aircraft rental. And unlike partnerships and timeshares, there's no requirement to purchase a slice of an aircraft. As a DiamondShare aircraft owner, FlyGerry LLC owns and operates N476DS, a 2012 Diamond DA40 XLS. If you're interested in becoming one of our members or even becoming a DiamondShare owner, contact us - we'd love to discuss the various options with you.